Happy Tuesday! I hope you're week is off to a great start! 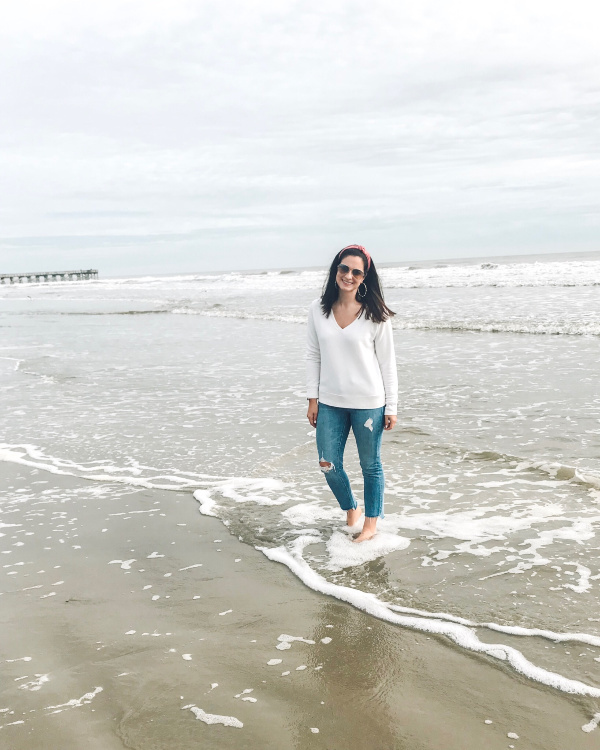 Today's post is a reader request and these kind of posts are always my favorite. I love sharing about topics that you are interested in! 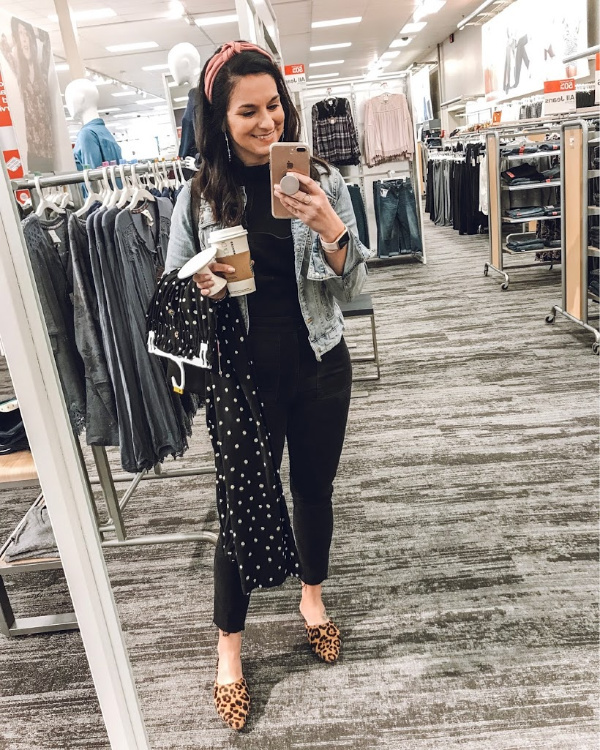 I have been currently loving hair accessories... as you have probably noticed from my recent outfits and currently loving roundups. Hair accessories are such a fun, affordable way to make a simple outfit so much more exciting! 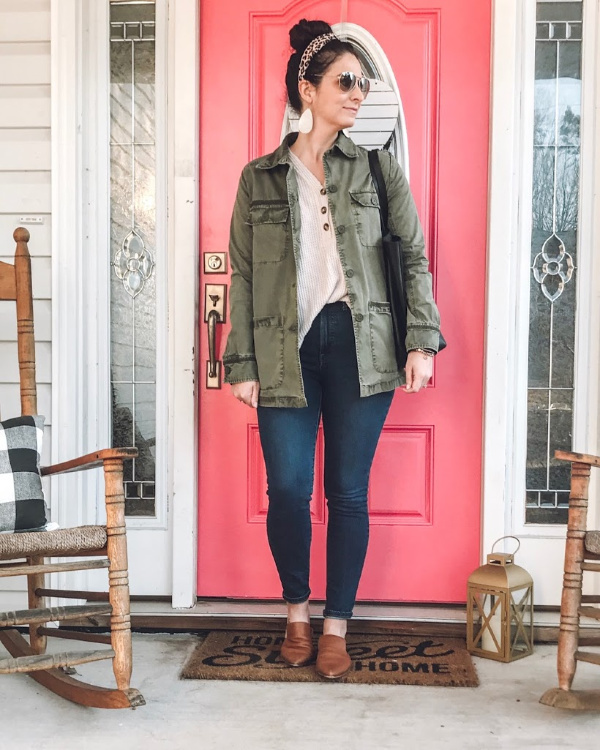 Since switching to a more neutral wardrobe (filled with lots of comfortable basics), I find myself wanting just a little something extra to make the outfit feel more interesting. Hair accessories to the rescue, especially statement headbands! 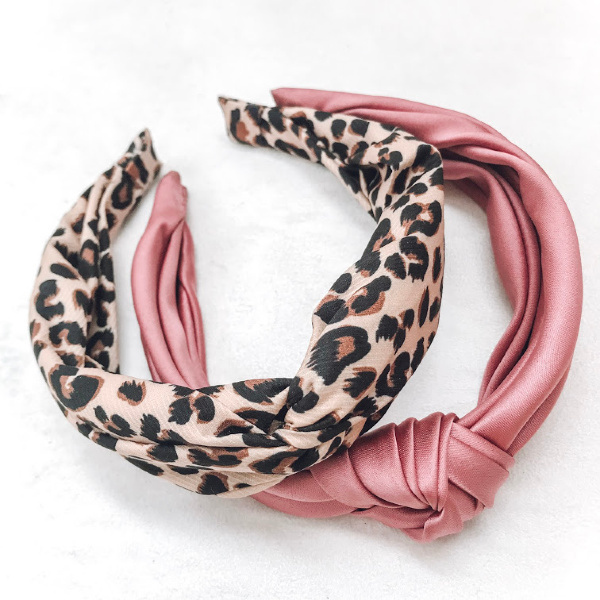 A statement headband is just what it sounds like... a headband that makes a statement! 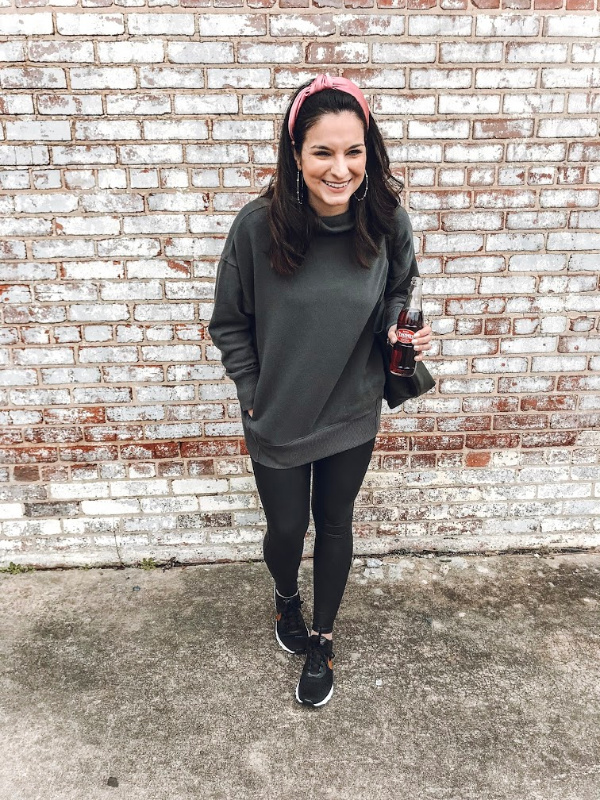 Besides making your outfit a little extra exciting they are also a quick fix for a bad hair day, lazy hair day, gray hair day, or unwashed hair day (I think I need to add these to my how I go four or more days without washing my hair post)! 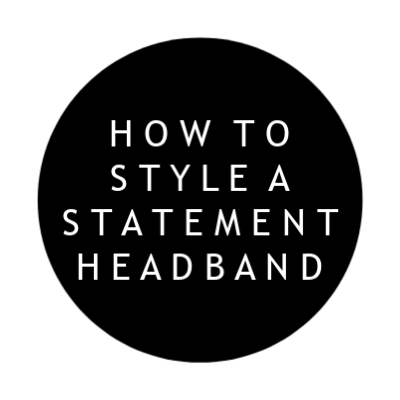 Today, I'm going to be rounding up some of the outfits that I have incorporated statement headbands into. 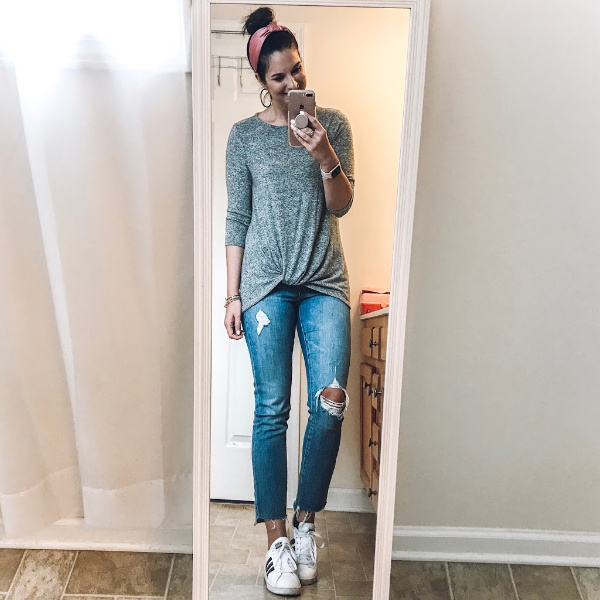 You can take the most simple of outfits and change the whole look by adding a headband! These are the two statement headbands that I currently own. I have had the pink one for about six weeks and I've worn it nonstop. I just got this super budget friendly leopard one in the mail last week and it's going to get a lot of use. Yes to pink and leopard! This was a dressy look for me (yes, jeans are dressing up, lol). 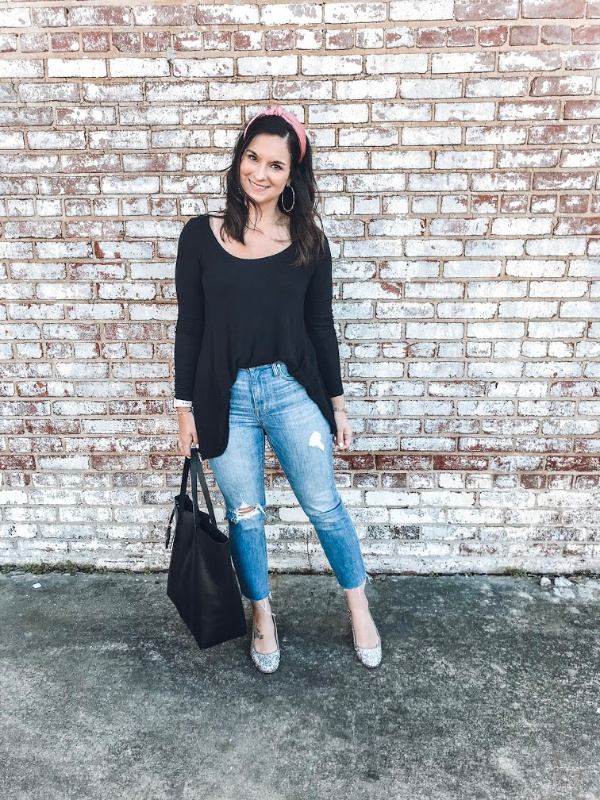 A statement headband pulls this whole outfit together and the pink adds a fun pop of color. I had actually just blow dried my hair but didn't have time to really fix my hair the way I wanted to so enter the statement headband. It smoothed my hair and kept it out of my face so I could have a productive day! I can't stand when my hair is in my face. This statement headband was great for a windy day at the beach because again, it kept my crazy windblown hair out of my face. This outfit was probably fun enough with overalls and leopard mules but I wanted to add some pink to my look. The headband also tamed my unwashed hair this day! A statement headband is also great for athlesiure. This look dark outfit needed color and just something fun. I've also taken my statement headbands to the gym for function and style! I love wearing a statement headband with a top knot. It smoothes out any unruly hairs and conceives the fact that you haven't washed your hair in four or more days! Another top knot but a different head band. 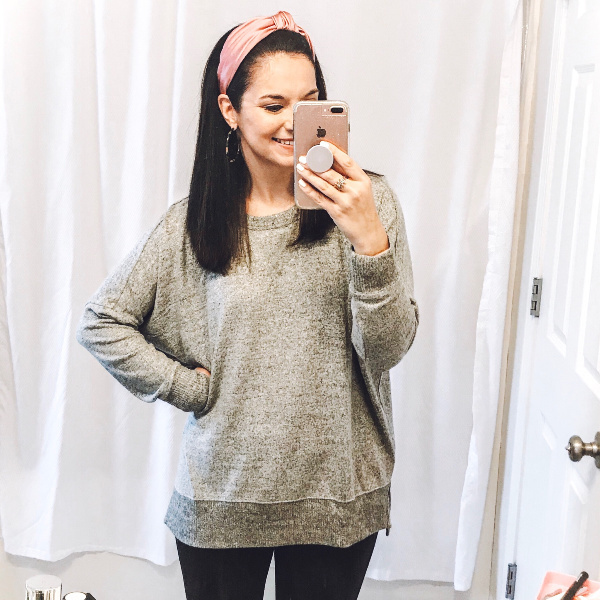 This is my new leopard print one and it's super budget friendly at under $7! I love how the leopard print pulled together the black and brown in this look.